Tear-Opens bingo, with a twist! When playing Even Bettor Tear-Opens, players "bet" that the "even" numbers on their card will be drawn first – they're "Even Bettors!" 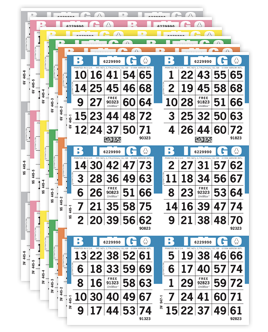 Even Bettor Bingo is similar to our regular Tear-Opens progressive coverall games, but with an even better twist! 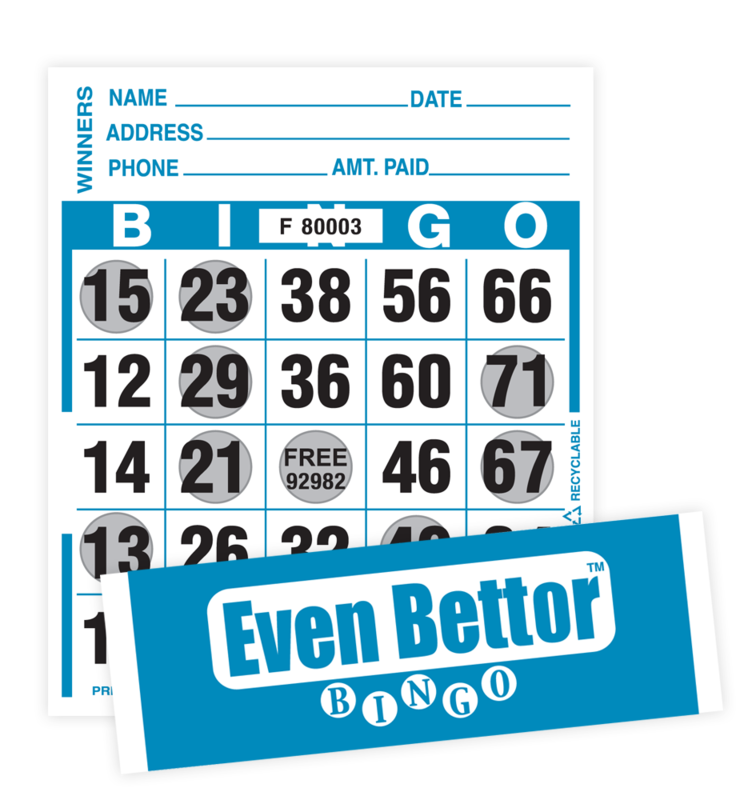 With Even Bettor Bingo, you don't have to pre-call any numbers; all the odd numbers are already pre-dabbed for your players! Try a "second chance" option to increase sales: offer players the chance to trade in a sheet and buy two new sheets for the price of one. Players know instantly whether to play or trade based on the pre-marked numbers. Fast-paced game played on secure and concealed Tear-Opens bingo paper. Even Bettor can be added as a new game to your bingo session, typically near the end of your session. A coverall game will be played using only the 37 even numbers in play since all of the odd numbers are FREE. Players buy their cards prior to the start of the game. They then decide whether or not to keep their card based on how many odd numbers they have. Players can keep their card and use it for the game, or they can trade it in; buying a new card and trading in your old card gets you 2 new cards! Actual face size is 4 inches wide by 4¾ inches high.